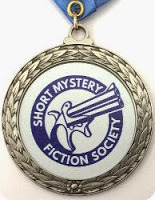 April 16–May 15, 2018, all present Shortmystery members were eligible to vote for the Derringer Award winners from five finalists in each category, previously nominated by SMFS-member volunteer judges. In this official announcement, the winners appear first and in bold and the finalists follow, alphabetized by author's last name. "I’d like to express my sincere appreciation to all or you at the Short Mystery Fiction Society for this great honor. SMFS is an always supportive, always informative group, and I’m truly pleased and humbled to have been given this award. Thank you so very much!" Congratulations to the Derringer winners and Golden Derringer recipient. The Derringer medal presentation will take place during Bouchercon 2018 opening ceremonies, September 6 in St. Petersburg, Florida. I echo my congrats to all. Great job!